The cold-blooded murder of the Charlie Hebdo cartoonists in January 2015 brought a deadly focus to the issue of free speech. Leaders of the free-thinking world united in condemning the killings, proclaiming 'Je suis Charlie'. But it wasn't long before many commentators were arguing that the massacre showed the need to apply limits to free speech and to restrict the right to be offensive. It has become fashionable not only to declare yourself offended by what somebody else says, but to use the 'offence card' to demand that they be prevented from saying it. Social media websites such as Twitter have become the scene of 'twitch hunts' where online mobs hunt down trolls and other heretics who express the 'wrong' opinion. And Trigger Warnings and other measures to 'protect' sensitive students from potentially offensive material have spread from American universities across the Atlantic and the internet. Hume argues that without freedom of expression, our other liberties would not be possible. Against the background of the historic fight for free speech, Trigger Warning identifies the new threats facing it today and spells out how unfettered freedom of expression, despite the pain and the problems it entails, remains the most important liberty of all. Richard Askwith wanted more. Not convinced running had to be all about pounding pavements, buying fancy kit and racking up extreme challenges, he looked for ways to liberate himself. His solution: running through muddy fields and up rocky fells, running with his dog at dawn, running because he's being (voluntarily) chased by a pack of bloodhounds, running to get hopelessly, enjoyably lost, running fast for the sheer thrill of it. Running as nature intended. Part diary of a year running through the Northamptonshire countryside, part exploration of why we love to run without limits, Running Free is an eloquent and inspiring account of running in a forgotten, rural way, observing wildlife and celebrating the joys of nature. An opponent of the commercialisation of running, Askwith offers a welcome alternative, with practical tips (learned the hard way) on how to both start and keep running naturally - from thawing frozen toes to avoiding a stampede when crossing a field of cows. Running Free is about getting back to the basics of why we love to run. We all know a diet too high in sugar wreaks havoc on our health and well-being, yet many of us feel powerless when it comes to our cravings for sweet oblivion. Nutritional Therapist Elsa Jones' revolutionary programme targets both physical and emotional dependency on sugar - the part of you that 'needs' a sweet treat when you're feeling tired, stressed, bored, lonely or simply because it's the weekend. As well as expert nutritional advice and a healthy eating plan, you will learn how to identify and overcome thoughts and behaviours that are sabotaging your health and weight, as well as the essential skills to stay motivated and conquer cravings for good. I hope to see you . . .
Liz Cafferky is on the up. Rescued from her dark past by the owner of a drop-in centre for older men, Liz soon finds herself as the charity's face - and the unwilling darling of the Dublin media. Amidst her claustrophobic fame, Liz barely notices a letter from a new fan. But then one of the centre's clients is brutally murdered, and Elizabeth receives another, more sinister note. Running from her own ghosts, Liz is too scared to go to the police. And with no leads, there is little Sergeant Claire Boyle can do to protect her. When four graduates from a small Massachusetts college move to New York to make their way, they're broke, adrift, and buoyed only by their friendship and ambition. There is kind, handsome Willem, an aspiring actor; JB, a quick-witted, sometimes cruel Brooklyn-born painter seeking entry to the art world; Malcolm, a frustrated architect at a prominent firm; and withdrawn, brilliant, enigmatic Jude, who serves as their centre of gravity. Over the decades, their relationships deepen and darken, tinged by addiction, success, and pride. Yet their greatest challenge, each comes to realize, is Jude himself, by midlife a terrifyingly talented litigator yet an increasingly broken man, his mind and body scarred by an unspeakable childhood, and haunted by what he fears is a degree of trauma that he'll not only be unable to overcome - but that will define his life forever. Sixty years later, Mamdouh's granddaughter Nur is living in America. She falls in love with a married man, a doctor who works in Palestine, and follows him to Gaza. 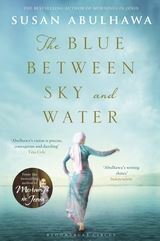 There she meets Alwan, the mother of Khaled - a boy trapped in his own body, unable to wake up from a deep blue dream. It is through her that Nur will at last discover the ties of kinship that transcend distance - and even death. An uneasy pact exists between the law man and his folk, but when a federal agent with the Bureau of Alcohol, Tobacco and Firearms shows up in Clayton's office with a plan to shut down Bull Mountain, his agenda will pit brother against brother, test loyalties, and set Clayton on a path to self-destruction. After a tragic accident leaves Tamara alone on the most westerly tip of Ireland, she begins an affair with a charismatic meteorologist named Niall. It's the 1950s, and Tamara has settled into civilian life after working as an auxiliary pilot in World War II. At first her romance is filled with passionate secrecy, but when Niall's younger brother, Kieran, disappears after a bicycle race, Niall, unable to shake the idea that he may be to blame, slowly falls into despondency. Distraught and abandoned after their decade-long relationship, Tamara decides she has no option but to leave.